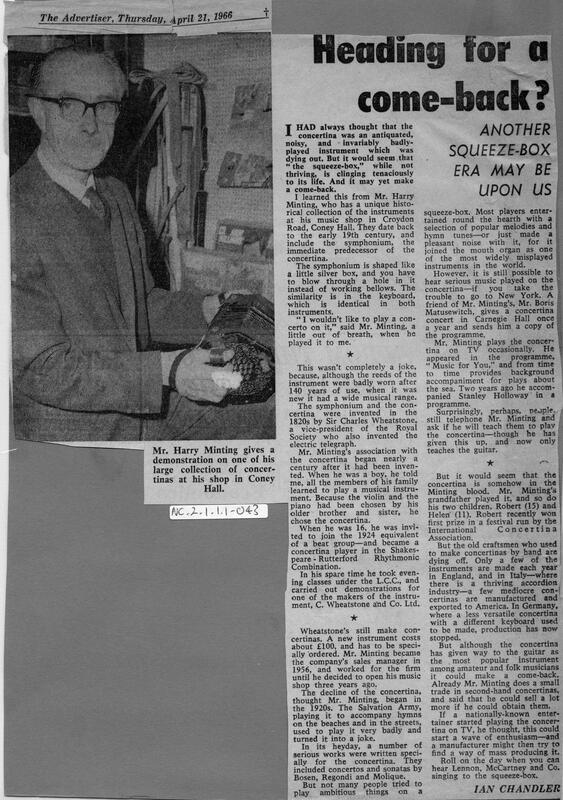 Full Description: A large press cutting from the Advertiser of Apr 21st 1966 claiming "Concertinas are heading for a come-back?" Long interview with Harry Minting, in which Harry reviews its history, the Salvation Army's use, the ICA, Matusewitch's New York concerts and the folk revival's interest in the instrument. The photo is of Harry playing in his Coney Hall, London, music shop.